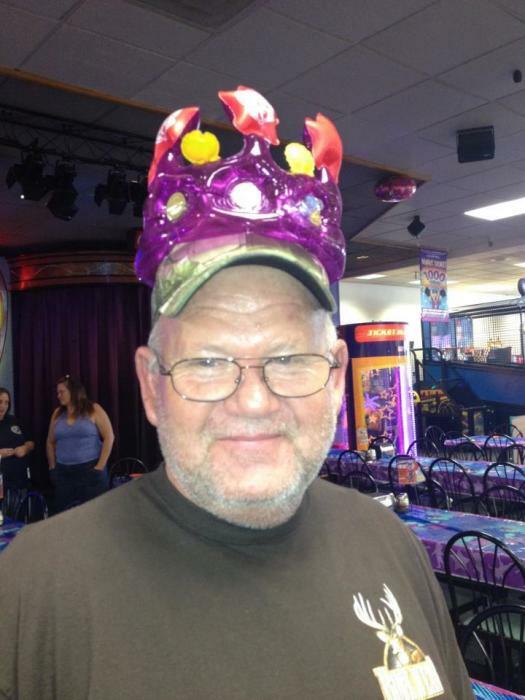 John Owens, 63, of Hilliard, Florida passed away unexpectedly Monday morning January 14, 2019 in Jacksonville, Florida. John was born on July 1, 1955 in San Pablo, California to the late John and JoAnn Owens. John was known by all as a God-fearing, selfless, family man who made it his life's mission to make sure the "babies" (grandchildren and great grandchildren) were happy. He adored all of them and he lives on through them. John was a hard working man who, at any given moment you could find outdoors hunting, fishing, or fixing something, if not for himself, for his children (more his children than himself). John was also the "chef" of the family, always in the kitchen coming up with some concoction. Above all, he was loved and admired for the man he was. John is survived by his best friend and soul mate of 25 years, Kimberly Darnell; his three sons, John Roy (Jenny), Joshua (Tracey) Owens, and Shaun (Aimee) Roddenberry; His two daughters, Amanda (Mike) Emery, and Patricia (Stephen) Brandt; 17-grandchildren, Caleb Neiswonger, Jayden and Abigail Owens, Tristen, Wyatt, and Layton Roddenberry, Dustin, Devin, and Dalton Emery, and Hailee Harvey, McKenzie, Ryan, Brayden, and Peyton Garrett, Sophia, Hutson, and Sawyer Brandt; six great grandchildren, Bentley, Serenity, Kaysen, Harper, and Evelynn Emery, and Cooper Emery. He was also survived by two brothers, Jerry (Cheryl) Owens, Joel (Lydia) Owens; and three sisters, Jeannie (Mike) Greene, Jeannett (Herman) Greene, and Jennifer (Tommy) Bullington. A memorial service will be held in his honor at Shepard-Roberson Funeral Home in Folkston, Georgia on Friday, January 18, 2019 at 3:00 PM with Rev. Bruce Lamar officiating. The family will receive friends two hours before service at the funeral home. Condolences may be expressed by signing the online guest registry at www.shepardfh.com. Arrangements are under the direction of Shepard-Roberson Funeral Home in Folkston, Georgia.